Eco Energy International is Powering the Future! 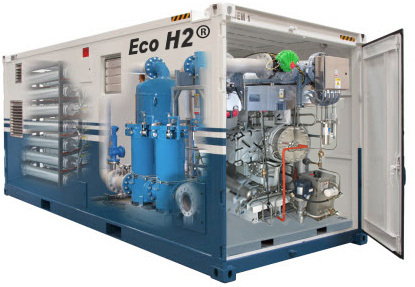 The demand for merchant market hydrogen (H2) is expected to grow twenty-fold by the year 2030. States like California are now requiring that upwards of 33% of all H2 must be produced from renewable sources. Utilizing Municipal Solid Waste (MSW) and/or Biogas to make H2 reduces waste disposal issues while producing H2 at a lower cost compared to traditional methods. 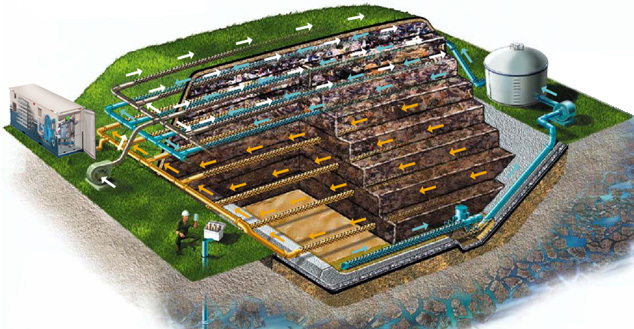 EEI’s patented Bio-Carbon driers are part of a process to revolutionize fuel production. Municipal Solid Waste (MSW) is processed into Diesel to reduce waste disposal issues while outputting fuel. Unlike Bio-Diesel, Renewable diesel doesn’t contain ­oxygen, meaning it does not have a few of the downsides of bio-diesel. 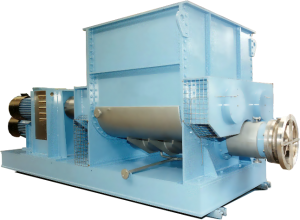 • Storable for longer periods before separating. Renewable diesel has the same chemical structure as petroleum diesel, si it can be used in engines designed for petroeum diesel fuels. No need to blend Renewable Diesel with fossil-fuel diesel. renewable diesel also burns cleaner, with less pollution, than biodiesel or petroleum fuels. 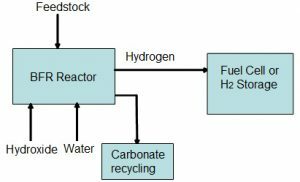 Historically, the hydrogen energy market has been centered on the petroleum refinery and chemical manufacturing sectors. According to a recent report from Navigant Research, hydrogen consumption for non-traditional applications (outside the petroleum and chemical sectors) will grow from 168 million kilograms in 2013 to nearly 3.5 billion kilograms in 2030. Navigant Research forecasts a 20 fold increase in the H2 merchant market to $50 billion by 2030 with stationary fuel cells, fuel cell vehicles and energy storage being major contributors. 1800 kg/day Bio Reformation module (on the left) is producing the equivalent of 1 Megawatt of power per day. Scalable from 100 kg to 2000 kg of H2 per day per module – equivalent to 1.15 megawatts of power Multiple modules can operate in parallel for greater capacity.